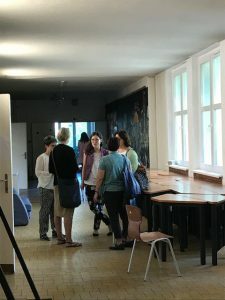 As my colleagues and I arrived in the University for the International Conference, we pinched ourselves to believe we had really arrived at the final point for the ARTPAD project, a culmination of 3 years work funded by Erasmus Plus. As we stood by the Hungarian poster advertising the event for a selfie we felt great knowing that the tentacles’ of project had reached Hungary as well as the other 4 partner countries involve in the work, Austria, Germany, Poland and the UK and this day was a culmination of that work. 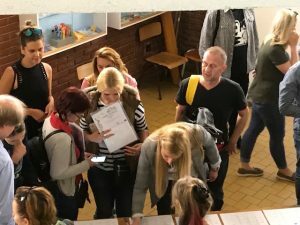 The event was held at Eötvös Loránd University Faculty of Primary and Pre-School Education and was attended by not only University students but also local and international organisations with and interest in the subject. There was a warm and lively atmosphere in the hall and we soon got started with the programme from the day. 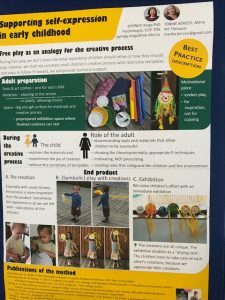 Initially, I gave a presentation to introduce the ARTPAD project which was followed up by an exploration of The Strength of European Diversity for Supporting the Development of Children’s Resilience through Play and Drama, by Dr Wendy Russell. These were followed throughout the day by a mix of workshops on the topic including the art of resilience in challenging situations – how to endure, change and thrive , Dr Paulina Pawlicka and Dr hab. Maria Kaźmierczak; Playing with stories – a taste of playback theatre- Beáta Oborny; Working with tales by paper theatre and drama techniques – Dr Virag Suhajda; Understanding freely chosen play and the importance of the environment- Leonie Burton; Drama games, techniques – a route for stronger resilience- Karen Benjamin and Dr Adam Jagiello-Rusilowski and Playing Drama games, techniques – a route for stronger resilience- Veronika Karsai. Around and about during the day there were poster presentations by the students Poster on the topic of ‘Free Thoughts about Earlychildhood Play – Scientific research and outcomes’ to explore and wonderful opportunities to chat to a wide group of people about their work and how they have enjoyed working on the project. We’ll be sad that the ARTPAD project has finished but what a way to say farewell! 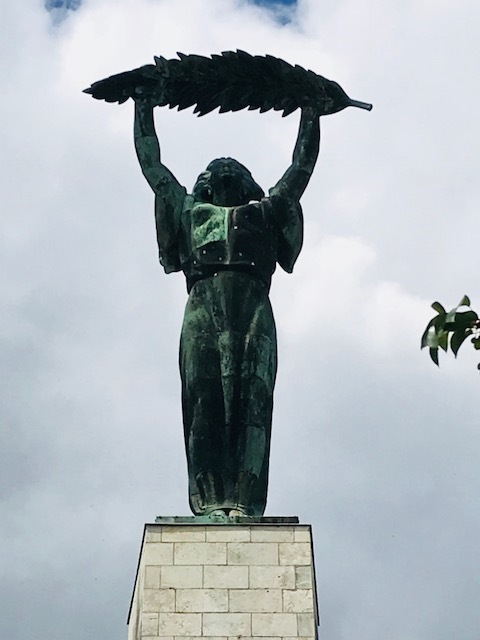 The Liberty Statue or Freedom Statue is a monument on the Gellért Hill in Budapest, Hungary. It commemorates those who sacrificed their lives for the independence, freedom, and prosperity of Hungary.